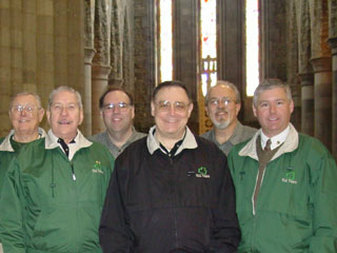 Leo Larivee, President of The Larivee Company Tours, Inc. (TLC Tours) has been bringing barbershop quartets and choruses to Ireland since 1989. The Sound Assembly Chorus (Wellesley, MA Chapter SPEBSQSA), directed by Leo, was featured at the first Irish Association of Barbershop Singers Convention held in Birr, County Offaly, Ireland in August 1989. The chorus returned to Ireland in 1991 as the featured guest at the third IABS Convention held in Limerick. For more than a quarter-century, Leo has built a long-term relationship with the Irish Association of Barbershop Singers. 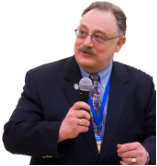 He has coached many quartets and chorus through the years and also sponsored other well-known coaches to share their expertise with members of the Irish Association of Barbershop Singers. In March 2001, TLC Tours organized the "Tralee" Festival held at the Brandon Hotel and the Siamsa Tire Theatre (National Folk Theatre of Ireland) in Tralee, Co. Kerry. TLC The primary sponsor was TLX Tours along with the Brandon Hotel, Brian Moore International Tours, and Shannon Development Corporation in cooperation with The Kerry School of Music and the Irish Association of Barbershop Singers. In 2003, the name changed, and the new "Kerry" Festival drew more than 200 Barbershoppers/families/friends from all over the world participated. Affiliates included members of the following organizations: SPEBSQSA/BHS, SAI, HI, LABBS, BABS, Holland Harmony, DABS, and SNOBS. Our Irish "Convention-al" tour includes singing and sight-seeing around Ireland plus attendance at the annual IABS Convention (usually held on the first full weekend in October). Both offer perfect opportunities for American Choruses and Quartets to perform throughout Ireland. American quartets and choruses (male and female) are eligible to compete in the Irish international competition. Mixed Quartets and a special Show/Contest based on "Entertainment" value alone are also available. 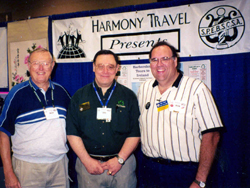 Our "Harmony Passport" tour is a customized Itinerary based on the individual needs of EACH particular chorus regardless competition status. Travel is available any time of year. TLC Tours served as the "Official Travel Agency of the Irish Association of Barbershop Singers" for several years and today our proper designation is "Accredited Agent for the Irish Association of Barbershop Singers in the USA. For more information call Leo Larivee [toll-free] at 1-888-609-2930 or email Leo@TLCTOurs.com. 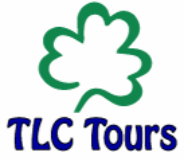 Visit the TLC Tours website at TLCTours.com. 1971, 1990, 1993, 1995, and 1996. The only group ever to get an encore. Featured entertainers at the re-enactment of the "Broken Treaty" in Limerick 1991. Gary McBride, Bob Coant, Cindy Spinden, Leo Larivee, Beverly Miller, Bob Beaver, Paul Malley, Sharon Taylor, Margie Colbert, Alan Gaughf, Tracy Coyle, Jerry Schmidt, Jim and Judy Clancy, Jerry and Kim Orloff, Ed Reiss, Theresa Larivee, Bill Beal, and Amanda Stevens. Also, the many other TLC Tours' travelers who have graciously shared their photos with us, over the years. Original logo design artwork by Cindy Sielen. Background music "Danny Boy": Gary Lewis.